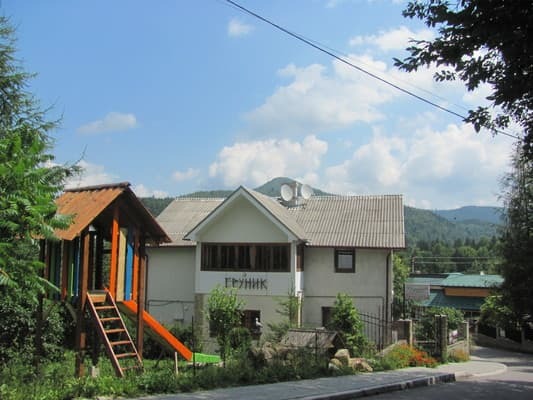 Guest House Grunyk is a two-storey house located in the resort part of Yaremche. 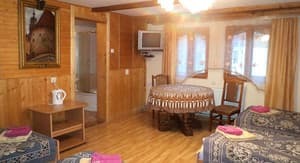 The hotel offers four cozy rooms. 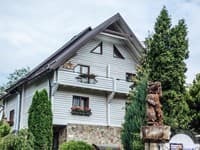 On the first floor of the house there is a kitchen for self-cooking, it is equipped with a gas stove, a fridge, an electric kettle, a microwave, dishes. Guests can use the ironing board with iron, which are located on the floor. 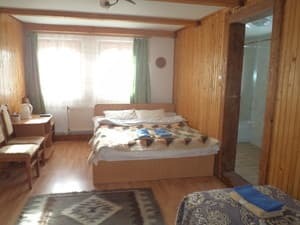 On the second floor of the cottage "Grunyk" there are three rooms of the category "standard" and one room "economy", as well as a terrace for rest. The hotel offers a free car park, Internet access. 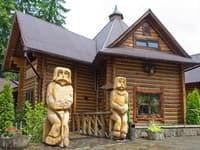 In the estate "Grunyk" all conditions for a good rest are created. 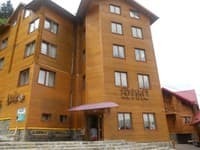 Ski lifts: Yaremche "Bagrivets" - 1.5 km, ski resort "Bukovel" - 32 km, smt. Vorokhta - 30 km, with Yablunytsya - 30 km. PRICES MAY CHANGE, YOU NEED TO UPDATE THE OPERATOR'S INFORMATION! 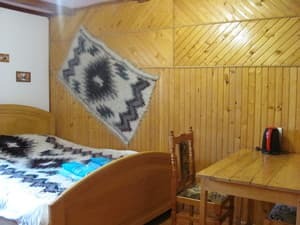 Описание номера: (single room, double room - 15 sq. 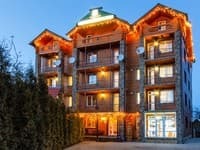 m. square) - two-bedroom lіzhko, satellite TV, electric kettle, tea set, shower, shower room, toilet, bathrobe, slippers, a small rushnyk - 2 per person. Kitchen for self-preparation on the top (gas stove, refrigerator, electric kettle, kitchen stove, table and tea service, dishes). Ironing doska with praskoyu (to the top). 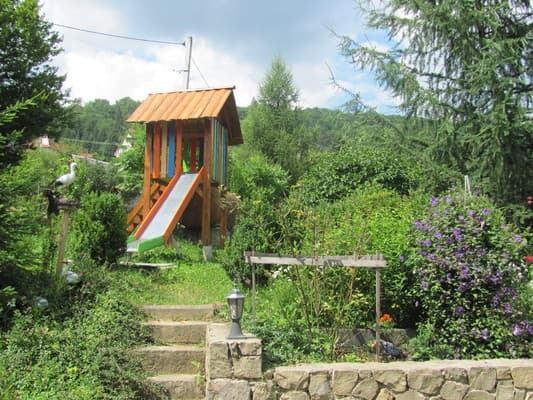 Описание номера: One room, the area of ​​which is 18 square meters. In the room there are: 3 single beds (by agreement - 1 double and 1 single), a table and 3 armchairs, a wardrobe. Issued: slippers and two towels per person. 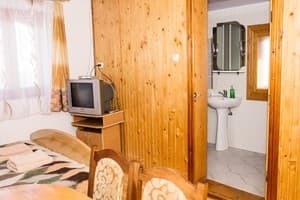 The bathroom is on the floor but is only for this room (toilet, shower, washbasin). 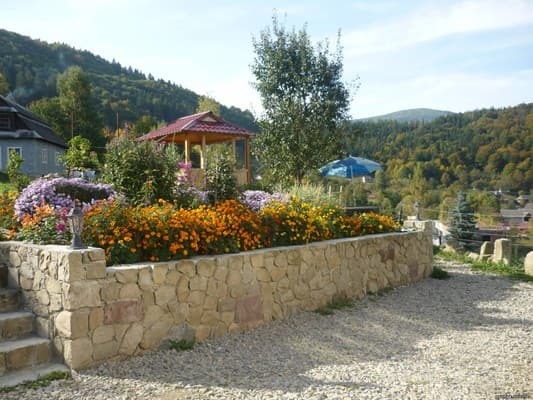 Описание номера: One-room double room, total area of ​​13 square meters. In the room there is a double bed, table, chairs. Description of the room: One room, the area of ​​which is 28 square meters. 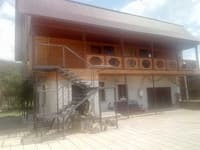 In the room there are: 4 single beds, a large wooden table, 4 armchairs, a closet, a bathroom (shower, washbasin, toilet). Issued: slippers and two towels per person. Уютный, чистый номер, где есть все необходимое. Дом расположен в красивом месте, из окна видны горы. Есть кухня, столовая и две очень уютные террассы. Во дворе беседка, где можно сидеть вечерами и любоваться горами вокруг. Место довольно тихое, если хочется отдохнуть от шума и городской суеты - это отличный выбор. 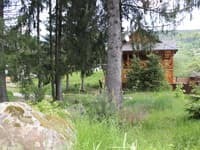 Гостеприимные хозяева и красивый, общительный кот. Очень уютный дом, прекрасный вид, отличное расположение, напротив магазин, рядом река и рынок. Приветливые хозяева, вкусный завтрак, удобные кровати. Можно пользоваться двумя террассами, беседкой в саду. 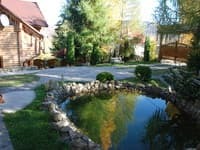 Прекрасное соотношение цена-качество, всем рекомендуем. Children under 10 years stay free of charge without extra beds. 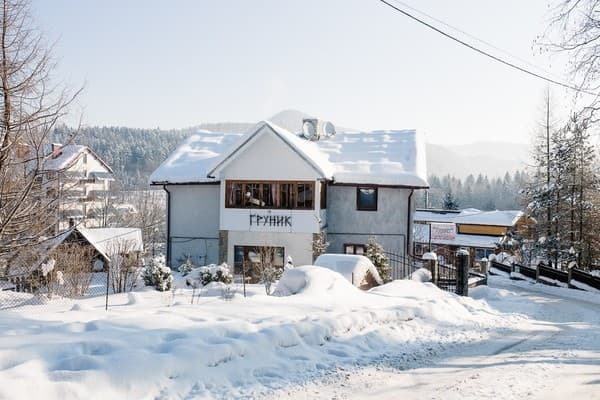 The farmstead is located in the tourist part of the city (100 meters to the recreation center "Karpaty", 200 meters to the waterfall "Proby" and the souvenir market). Ski lifts: Yaremche "Bagrivets" - 1,5 km., Ski resort "Bukovel" - 32 km., Smt. Vorokhta - 30 km., Yablunytsya village - 30 km. From Ivano-Frankivsk, shuttle buses are sent every 30 minutes. The train "Lviv-Rakhiv" arrives from Lviv in Yaremche.